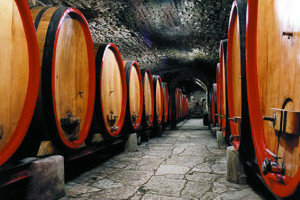 Close your eyes, breath in deeply, taste the wines, enjoy…Want to bring home a pleasant memory of your Chianti tour? Done! We offer the possibility to experiment your skill in making wine. For a day, you will be really the winemaker of your own wine! Meet in the morning our friendly English speaking driver at your hotel and start your journey to the charming Chianti area visiting some of the most representative towns of the area: Greve, Panzano, Montefioralle. Around 11am you’ll reach a top rated Chianti winery and start your experience with a private tour of the cellar with explanation of the wine process….a Wine Class that gives the possibility to learn how to taste a wine and discover its characteristics. But it gives much more than a simple wine class: working side by side with a professional winemaker you will have the possibility to create your own signature blend by mixing 5 different pure grapes and then have the bottles shipped back home. Inside an ancient room under the 1700’s villa, the winemaker will describe the different characteristics of the 5 grapes sampled directly from the oak barrels. Then, following your personal taste, you will try several blends and try then to create your “perfect” wine. The amount of bottles ordered will be placed on a bottle rack for the maturation, which will take about 25 days. One extra bottle will be immediately given to be taken with you. During the time of maturation, you may prepare and send us a digital file with your personal label. Once the maturation has been completed, the wines will be packaged with your personal label and shipped directly to your home. A full typical Tuscan lunch will be set up in the old Villa, after or before the experience, accompanied by excellent wines. You’ll be at your hotel around 5pm.